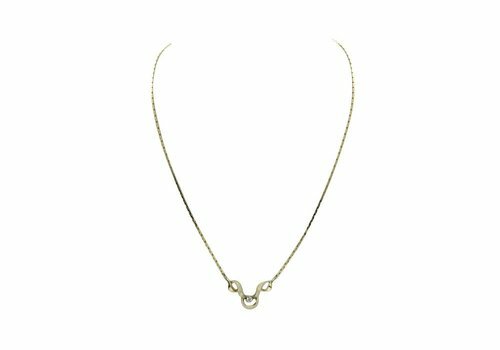 Yellow gold length necklace of venetian link. Can be shortened. Freshwater pearl necklace with silver magnet clasp.Look here more necklaces with gems. Silver necklace with heart pendant.Jasseron necklace with a spring ring. Large openwork heart with leaf motif. View more silver necklaces? Click here. Silver vintage necklace with onyx pendant.Silver anchor necklace with lock, with 1 safety. Artdeco style pendant with onyx and a diamond of 0.025 crt J-SI in the middle. View more silver necklaces? Click here. Descending onyx necklace with silver ornate bake closure. White gold necklace with diamond pendant. This necklace is new. With a carabin lock. The sleek pendant is 3.5 cm long and set with 3 diamonds. 1 x 0.03 1 x 0.06 and 1 x 0.11 crt. 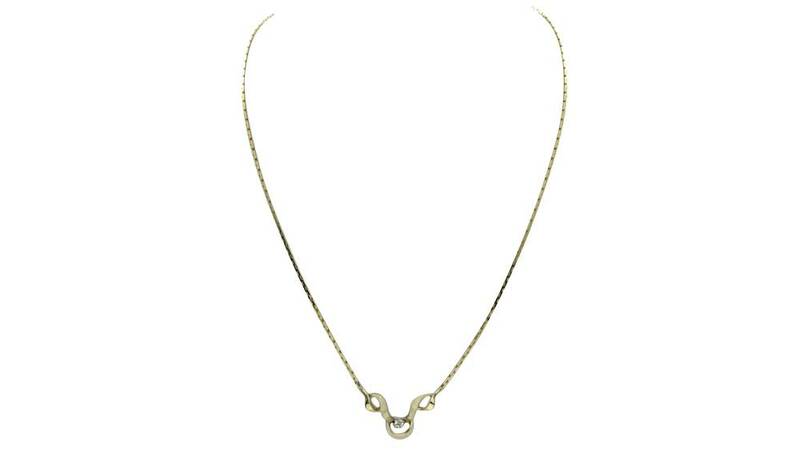 Click here to view more gold necklaces. 1st amount of silver fantasy necklace. Garnet necklace with silver ornamental clasp including a grenade. Silver fantasy necklace with larger links in the middle. Golden fantasy necklace with elegant ornament.The ornament contains a diamond of 0.005 crt. Close by means of a lock with extra safety. Silver matted necklace.Flat link. With spring ring.